Mega Yacht Cleaning is proud to offer a full suite of wet cleaning services for everything on your yacht. 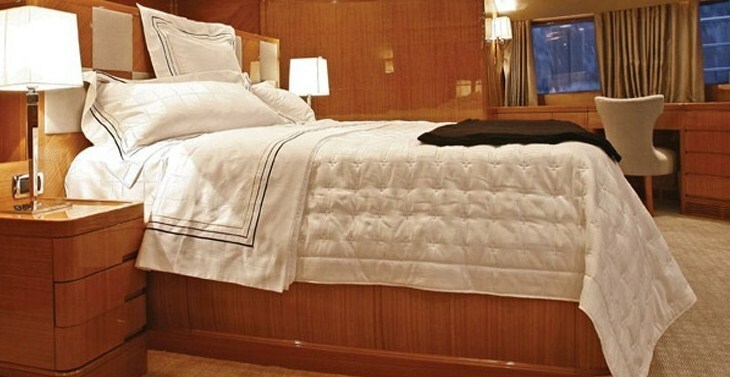 Whether you need wet cleaning for bed covers, blankets, linens and sheets, clothes and uniforms or any other item made of delicate fabric, we offer superior wet cleaning for yachts and boats throughout South Florida. Dry cleaning is the standard cleaning method for many materials, but sometimes wet cleaning for delicate fabrics is needed. When an item is heavily soiled or has a water-based stain or mark, wet cleaning is the best way to both clean and preserve the item. Wet cleaning for delicate fabrics consists of using a biodegradable detergent with minimal amounts of water in order to get out a stain without damaging the underlying fabric. In addition to delicate fabrics, we also offer wet cleaning for clothes and uniforms, sheets and linens, all depending on your needs and the fabric`s care instructions. If you`re not sure what type of cleaning you need, our experts will be happy to visit your yacht and give you professional recommendations and a free estimate. We come to your slip for free pickup and delivery. Our professionals will use dry cleaning or wet cleaning if necessary to preserve your goods. We guarantee results due to having over 15 years of experience in fine garment cleaning. Wet cleaning for yachts is a service that has the ability to preserve colors and texture of the fabric. Your laundry, wet cleaning and dry cleaning are returned to your vessel on your schedule. Enjoy personal service and our impeccable attention to detail. all Mega Yacht Cleaning at (954) 448-8899 and order a pickup for your wet cleaning today.